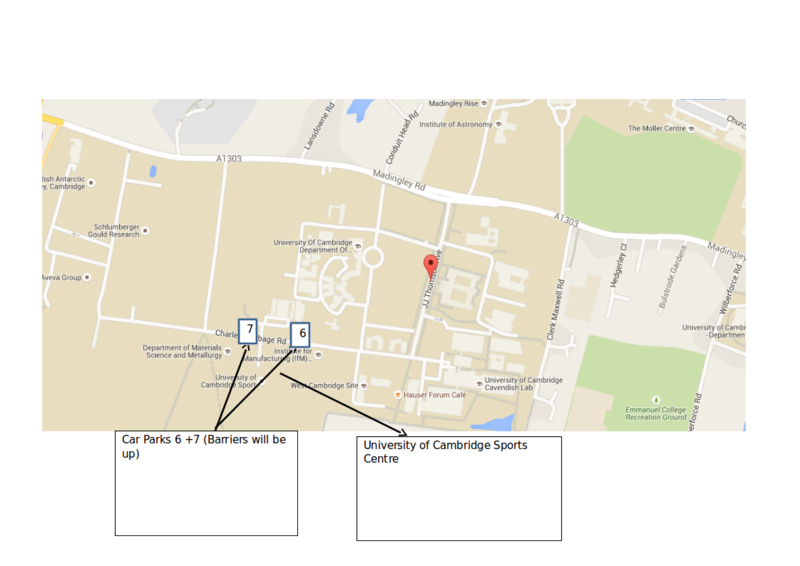 Our venue this year is the University Sports Centre on West Cambridge site. It has a lovely big hall (two basketball courts) which will be open for juggling during the day and then host the show later on. We also have access to a big studio - perfect for workshops and acro. Take a look on google maps. Trains come into Cambridge regularly. Once you get to the station, it's possible to get buses from there to the convention site. The new bus 'U' goes directly from the station to the convention site. Check out here for details and times. Alternatively, if you're coming from the town centre get on the park and ride to Madingley road. It is a red bus and stops at Cambridge City Centre Drummer Street D1. Take this to the Madingley Road park and ride. From here cross the main road to enter West Cambridge Site and walk to the sports centre. Here's the park and ride timetable. Returning to the train station. The last bus back to town is at 6.40 if you get the 'U', and at 8:18pm if you get the park and ride bus, unfortunately before the show is predicted to finish at 9pm. We'll try and connect anyone who needs a lift with someone with a car, and it's walkable in about 50 minutes. Alternatively, taxis can be booked with Panther Taxis, 01223 715715, and are likely to cost around £12 from the sports centre to the train station - not too bad if you share! Bigger version of parking map. There is a good (uni)cycle path which runs from where King's Parade and Trinity Street meet and goes over the Garrett Hostel Lane all the way to the back of the sports centre. Here's a cycle planning map. There are tonnes of cycle racks there to lock up your bike.